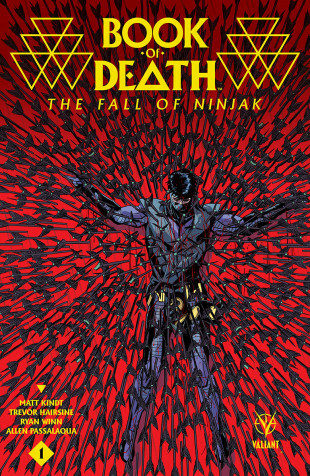 Valiant New Printing Alert: Sold-Out BOOK OF DEATH: THE FALL OF NINJAK #1 Returns with Second Printing in October! 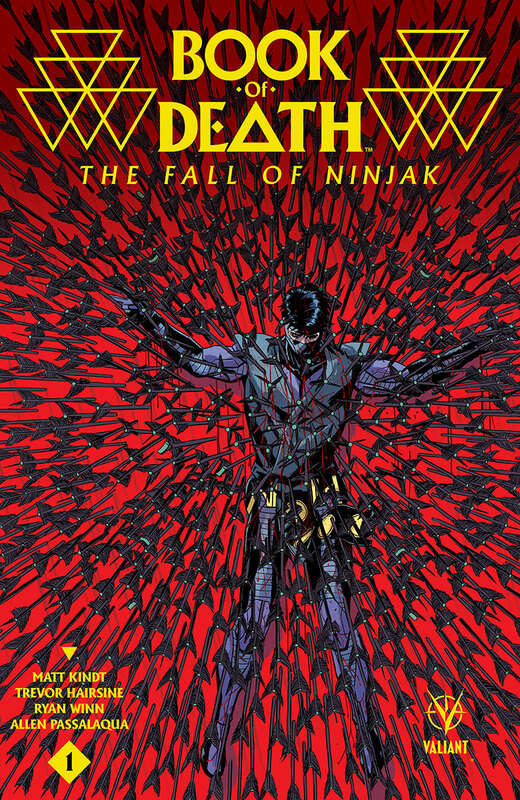 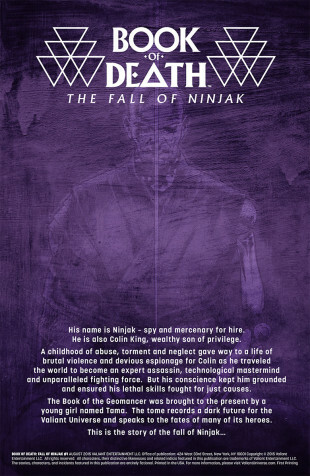 Valiant is proud to announce that BOOK OF DEATH: THE FALL OF NINJAK #1 – an essential one-shot chapter torn from the pages of Valiant’s cataclysmic summer event – has sold out at the distributor level and will return in October with the BOOK OF DEATH: THE FALL OF NINJAK #1 SECOND PRINTING! 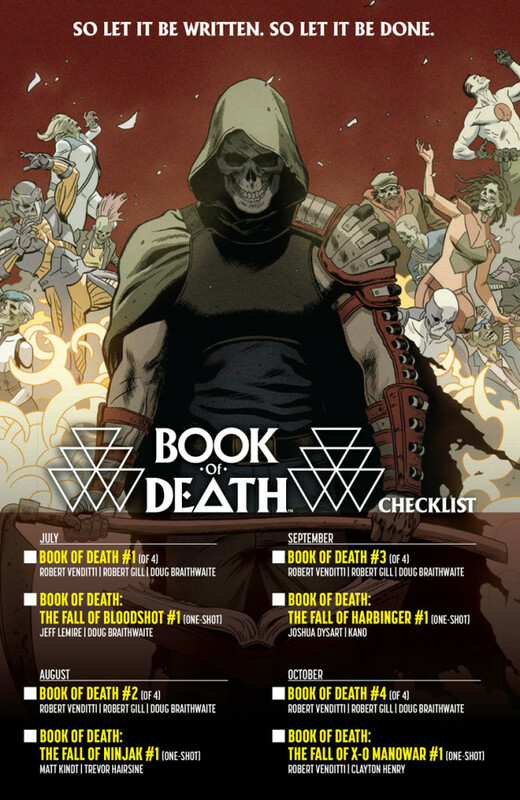 Following the multiple-printing and sold-out success of BOOK OF DEATH #1 and BOOK OF DEATH: THE FALL OF BLOODSHOT #1, readers have declared that BOOK OF DEATH is the runaway hit of the summer! 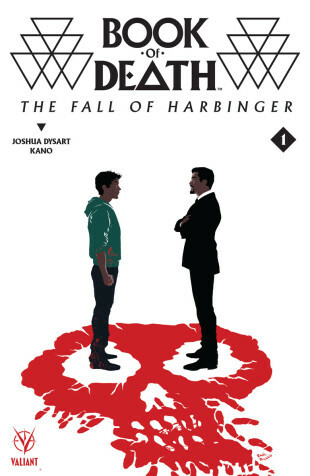 Join the fall of the Valiant Universe here as New York Times best-selling writer Matt Kindt and blockbuster artist Trevor Hairsine – the superstar creative team that brought you DIVINITY – reunite to reveal the dark future and final fate of MI-6’s most elite operative with a special standalone adventure torn from the Geomancer’s BOOK OF DEATH! 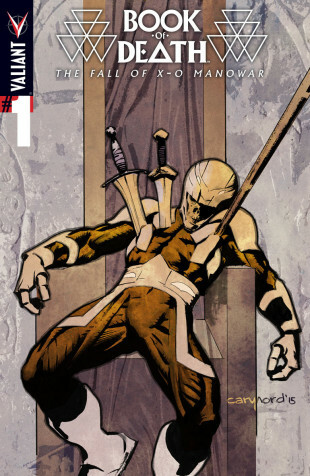 In the ruins of his mansion, Colin King hunkers down as the last living member of Unity after the Third Armor Hunt – or so he thinks. 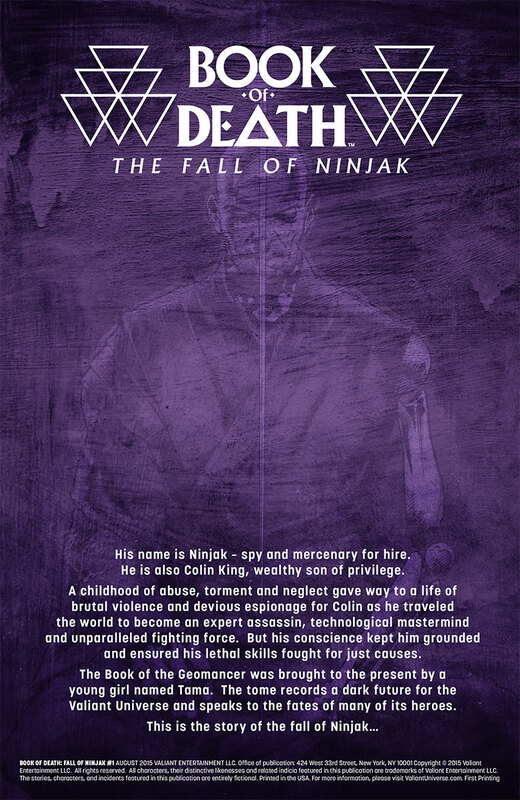 A visit from an old friend and a peace offering present the chance for Ninjak to break the cycle of death and escape the horrible fate foretold in the Book of the Geomancer. 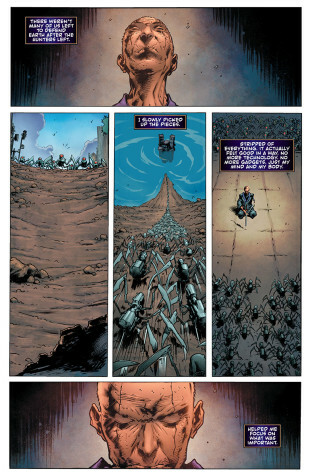 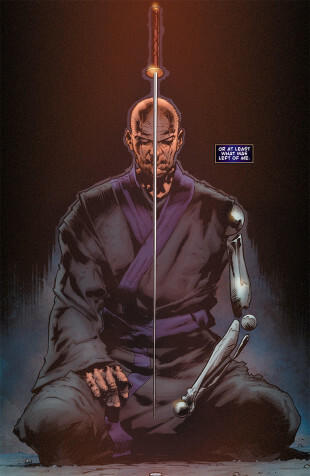 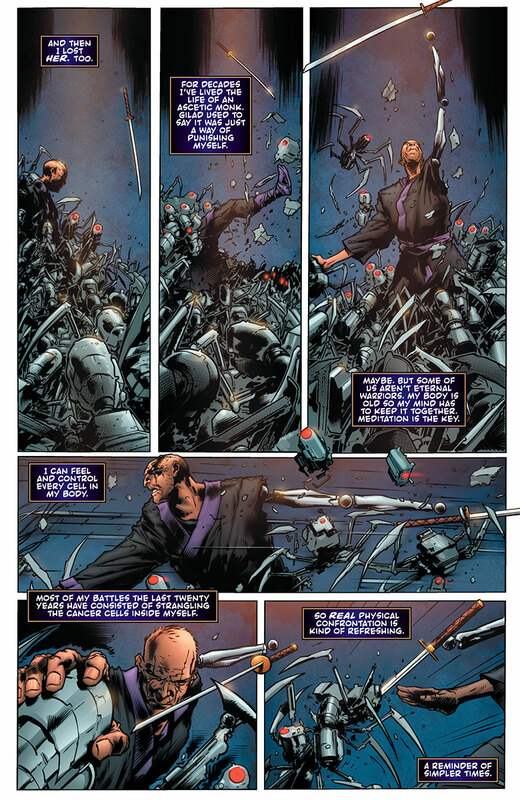 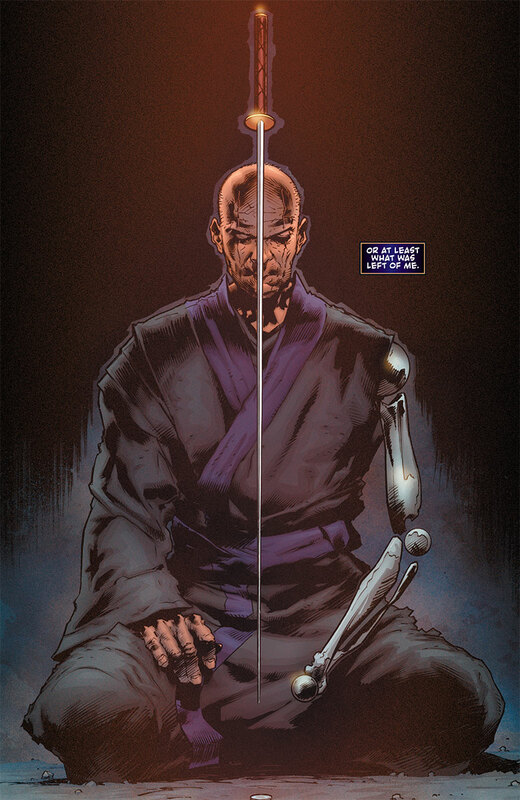 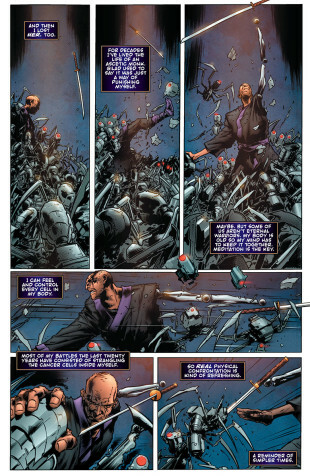 Will he betray his dead friends or will the fall of Ninjak come to pass and give rise to a very familiar future? 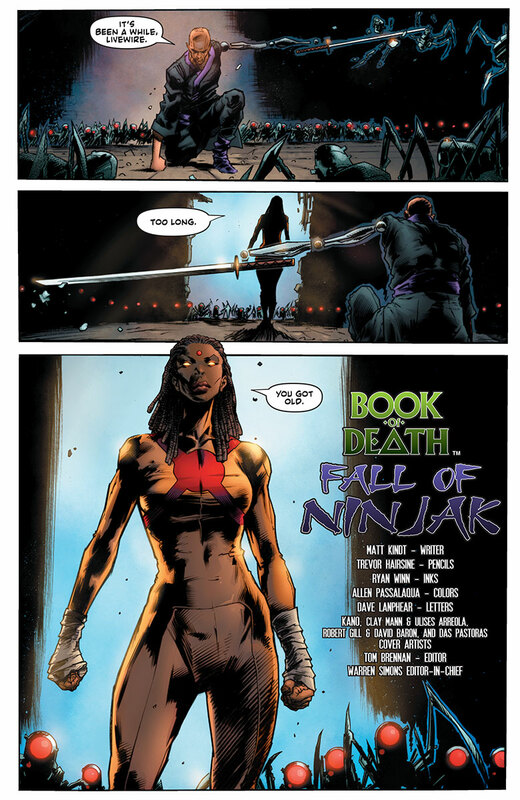 So let it be written, so let it be done… Critics are praising Ninjak’s last stand! 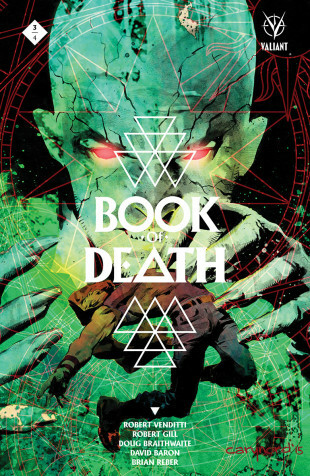 Plus: Valiant’s devastating summer event erupts on September 23rd in BOOK OF DEATH #3 (of 4) by New York Times best-selling writer Robert Venditti (WRATH OF THE ETERNAL WARRIOR) and explosive artists Robert Gill (Batgirl) and Doug Braithwaite (ARMOR HUNTERS)! 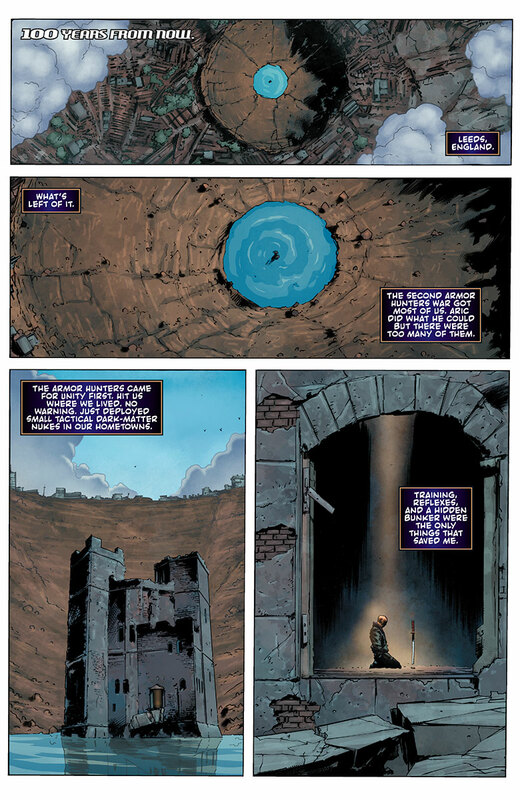 As the terrible future chronicled in the Book of the Geomancer continues to reveal itself via a series of horrible, unnatural calamities, an unexpected and untold player – Master Darque – has emerged to make his play for young Tama, the latest in the line of Earth-communing mystics called Geomancers… But does the reappearance of Darque mean that the apocalyptic future foretold by Tama has been avoided…or guaranteed?